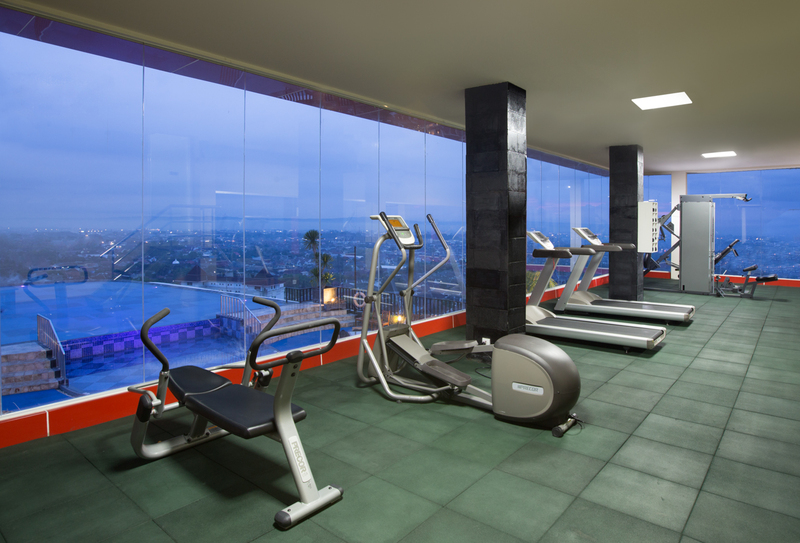 Located on the 19th Floor, our fitness centre open to all guests at Indoluxe Hotel Jogjakarta. It features a fully equipped fitness centre and infinity roof top swimming pool. To the rear of the pool, you’ll see our well-equipped gym with cardio vascular equipment such as treadmills and exercise bikes fixed resistance machines and the space to lift free weights. It’s possible to book sessions with a personal trainer and you’ll find the atmosphere to be relaxed and informal. Rejuvenate with a vigorous work out in the fully equipped gym. Children under the age of 18 are not permitted in the spa or gym and only if authorized by the spa manager can they use any of our facilities’ when chaperoned by a parent or guardian. Under no circumstances should children under the age of 16 be allowed to use the gym, even with a parent.